This stunning set of 30 hand-drawn decorative borders is the best addition for your next project. 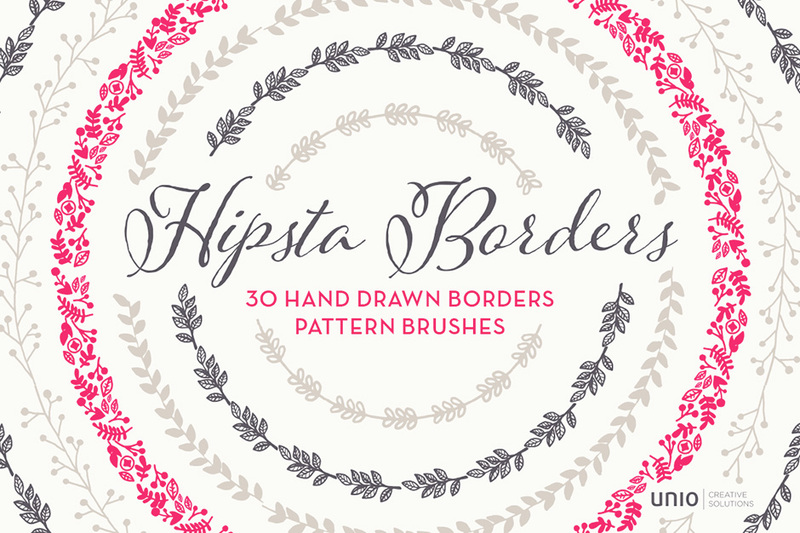 Included is 30 perfectly seamless Illustrator pattern brushes! These hand-crafted Illustrator brushes make design easy and enjoyable. All brushes are perfectly seamless and color sensitive. File size is approx 16.6MB (17.7MB unzipped), offered as a single download.